WHEN VICTORIA GROVES-SCOTT TOLD HER PARENTS SHE WANTED TO GO TO COLLEGE, SHE WAS MET WITH HESITATION. But when she added that she planned to become a teacher she saw an immediate change. testing took root and privatization schemes prompted attacks on public educators. The teacher pay gap has increased dramatically compared to other professions with similar education levels, and the cost of college is rising. 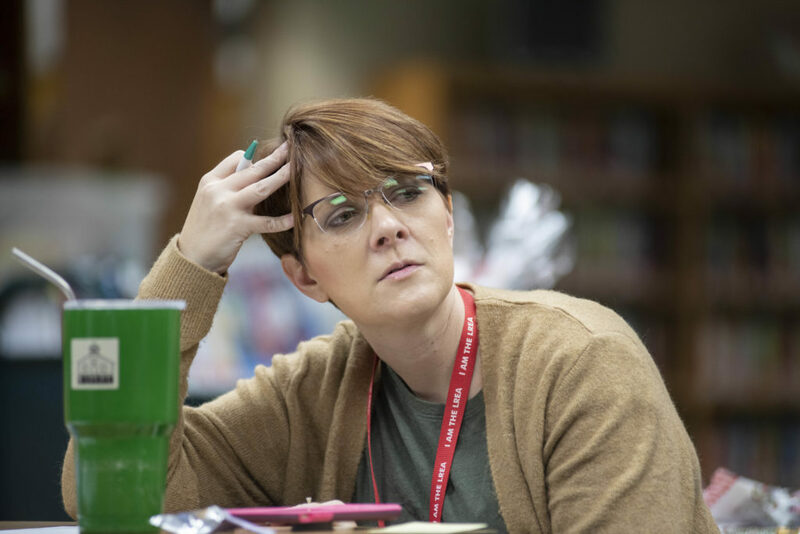 Across the nation, but particularly in states like Oklahoma and Arizona where educators have long been frustrated or deterred by a lack of classroom resources and extremely low pay, the teacher pipeline is drying up. Governor Asa Hutchinson has announced plans to increase minimum teacher pay by $1,000 each year for four years, however the proposal only helps teachers in districts currently paying the minimum salary scale. of Central Arkansas, and as the mother of a college student. Groves-Scott encouraged her son to make his own decision, and eventually, he decided to finish his teaching degree. She’s working together with the Arkansas Department of Education’s Teacher Cadet program to encourage students here to do the same. During the 2013-2014 pilot year, five schools participated in the “grow your own” teacher recruitment program. Since then, the program has increased exponentially to include 74 schools, 22 colleges and universities, and 800 students this school year. UCA has established partnerships with several school districts, offering hands on opportunities and concurrent credit for potential teachers. The Teacher Cadet program is just one part of the ADE’s statewide effort to promote the teaching profession and increase the teacher pipeline, and it’s starting to pay off. 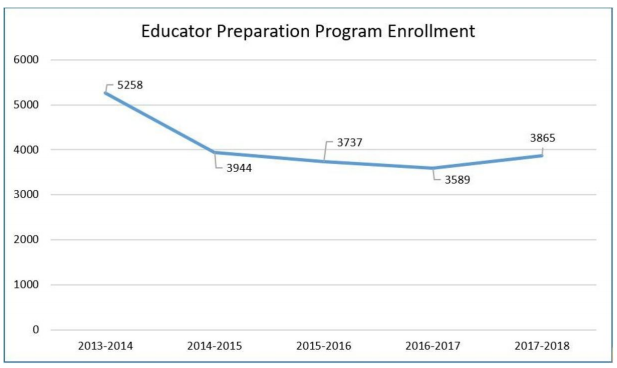 According to the U.S. Department of Education Title II data, enrollment in Arkansas educator preparation programs not only increased for the first time in more than five years, but enrollment numbers for 2017-2018 were also higher than two years prior. Last year’s enrollment reflects an increase of 128 students compared to 2015-2016 and a reversal from the downward trend seen in previous years. In February 2017, the ADE launched the Teach Arkansas campaign to encourage more Arkansans to consider joining the teaching profession. The campaign focuses on three areas: teacher recruitment, support for existing teachers and encouraging educators to return to the profession. The ADE says education service cooperatives have hired recruitment and retention facilitators to support novice teachers and provide resources for teachers entering the teaching profession. LREA VP Brooks says providing that support for new educators is also an opportunity for local associations to strengthen ties with people entering the profession. Brooks says when new educators don’t feel supported or successful, they’re more likely to leave. 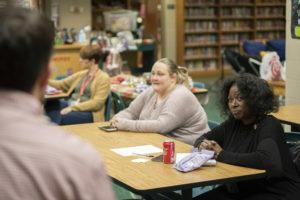 After asking early career educators how things were going, the local worked with the school district to establish a monthly meeting and professional development opportunity geared toward new educators through a grant from the National Council of Urban Education Associations. While the efforts to recruit and retain educators seems to be paying off, Groves-Scott warns that the shortage has also spurred more problematic actions, including the use of Act 1240 waivers to waive teacher licensure requirements. Act 1240 allows school districts to apply for a waiver to state education standards, including teacher certification. An Arkansas Department of Education 2015–16 supply and demand report found there were 337 vacancies or long-term substitutes serving as the teacher of record. In addition, another 1,184 teachers were teaching on waivers and were not certified for the subject they were teaching. As districts struggle to fill empty positions, many students end up in classrooms with unqualified, or underqualified instructors. 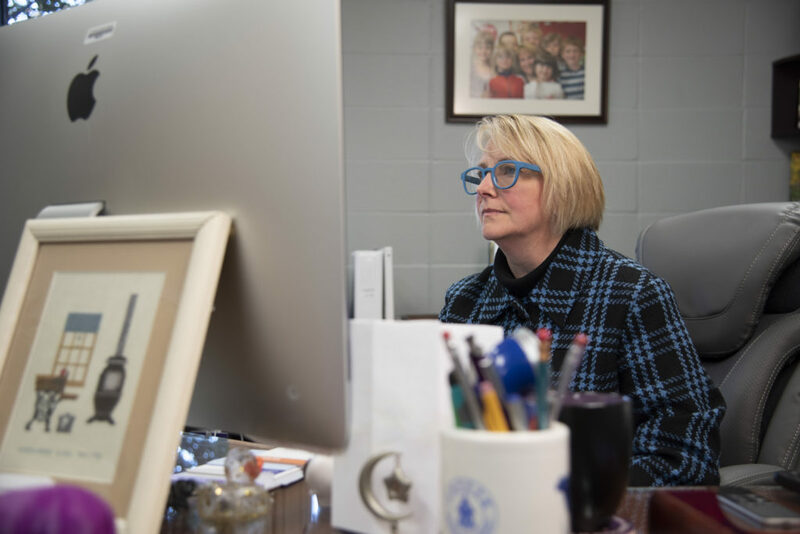 Despite the challenges facing the profession, Brooks says students are expressing interest in becoming educators, and the recruitment efforts give them a chance to see if the fit is right. Groves-Scott says the new graduates are even better prepared for success when they begin leading their own classroom. And it takes a truly passionate person to head into the field with eyes wide open.